When it comes to survival, there’s no time for playing around. 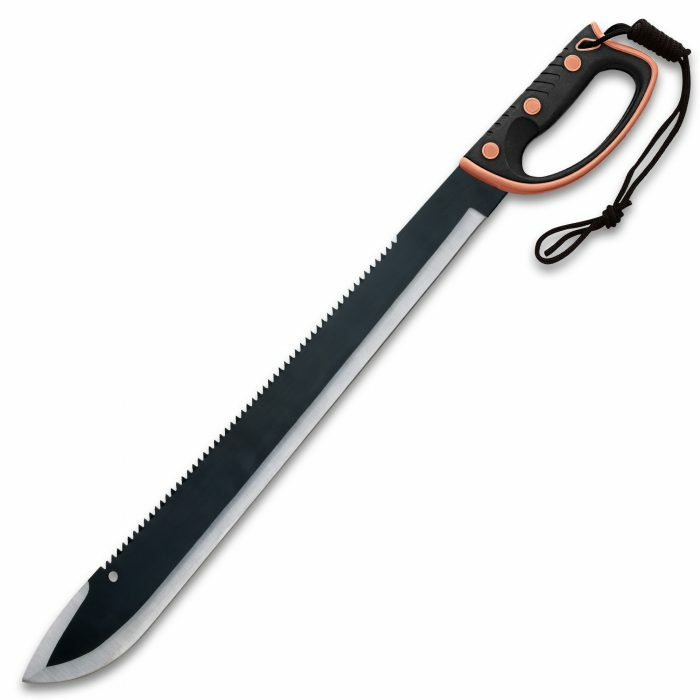 You need a blade that won’t let you down, and the powerful Colombian Rescuer Sawback Survival Machete from United Cutlery is the constant companion you’re looking for! The massive, 18” full-tang stainless steel blade has a non-reflective black coating and powerful sawback serrations ready to tackle any challenge or obstacle. 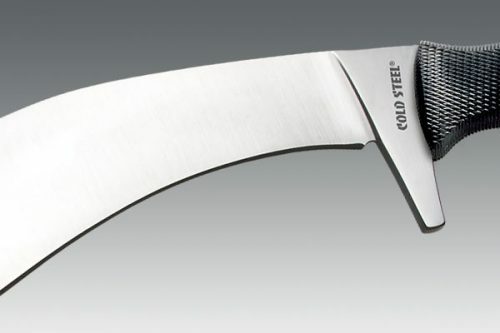 The razor-sharp blade edge is satin-finished and there is a lashing hole at the end of the blade. 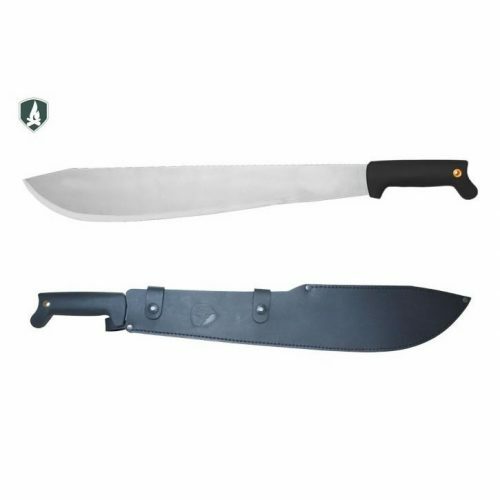 The machete has an orange and black rubberized injection-molded saber-style handguard handle that is secured to the blade tang by sturdy screws. 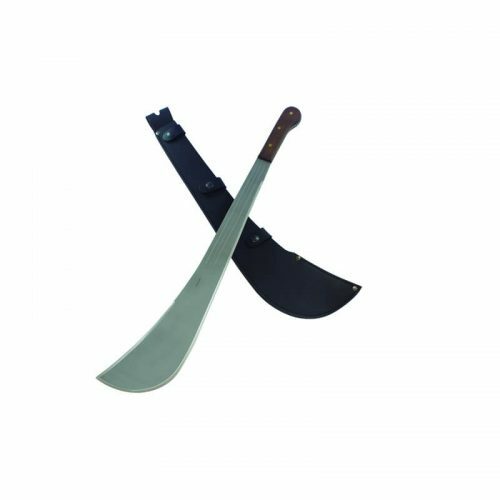 The 24” overall machete fits securely into a sturdy nylon belt sheath for ease of carry and the handle has a wrist lanyard. You won’t find another machete at any price that can get the job done better!